Remind Me Care aids in lifestyle and care support offering a new digital avenue focused on reminiscing and family engagement. Regis is excited to launch Remind Me Care an elder care technology program designed to aid in reminiscing and family engagement. Recent studies have shown reminiscing has an enormous impact on aged care residents’ wellbeing and feeling part of a community. The Remind Me Care (ReMe) is an online care planning system which matches the profile of the person with automatically sourced internet content. Built with remote family and staff participation, ReMe’s digital ‘My Story’ is at the heart of ReMe and learns and grows through activities undertaken with the resident. 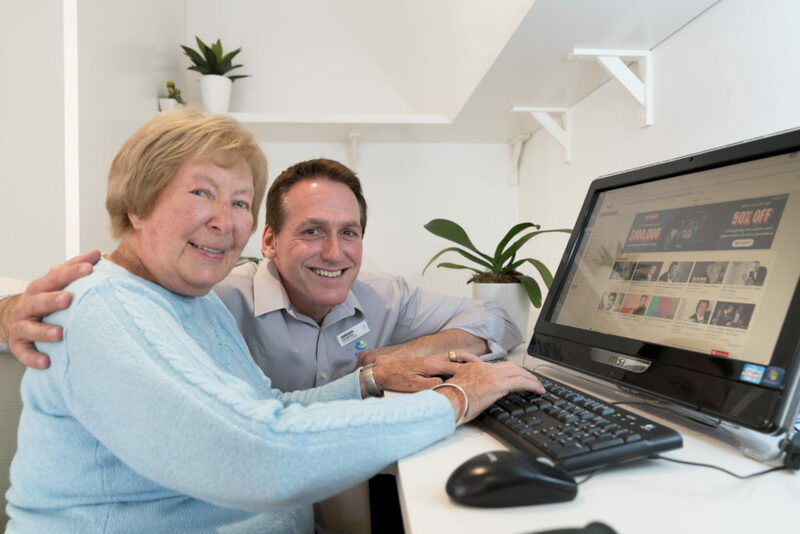 This aged care support program caters to each resident’s preferences providing music, games, images and videos which are based on a resident’s interest and history. A resident’s voice can be recorded over a selected video or image to provide staff additional information when implementing a reminiscing group or providing one-on-one care. This is accessible not only to our Regis aged care staff but to family members as well. This new Regis initiative has received positive feedback from those using this aged care technology. Regis residents and family members have enthusiastically engaged with the ReMe program and residents especially enjoy the multimedia feature often looking at images and listening to music from past eras. Family members are keen to be involved and excited to be able to keep in touch with their loved ones on a daily basis especially for those in long distance relationships. Learn more about Regis lifestyle programs by visiting our aged care innovations.